Energy consumption is UT Arlington accounts for nearly 75% of the University’s total GHG emissions. This energy is intimately tied to buildings: Heating, cooling, and lighting more than 6.5 million square feet of building space and powering electronic equipment, computers, and devices require a great deal of energy. With a growing campus community and a variety of energy-intensive buildings such as laboratories, data centers, and research facilities, energy efficiency and conservation is a critical component of responsible growth and cost control. Energy conservation at UT Arlington has been a priority since 1973 with an aggressive energy conservation program dedicated to staying ahead of increasing fuel and utility costs. In 2009 and 2011, the University completed two energy performance contracts that invested $27.9 million in building retrofits, system and equipment upgrades, and upgraded energy controls. The combined energy savings from these energy conservation measures total more than $3 million annually. In the first year of the contract, electricity consumption was reduced by 16 percent and natural gas use by almost 24 percent. Savings exceeded expectations, cutting $1.38 million in annual energy costs Energy conservation project save over $2,250,000 annually in utility and operations costs with simple payback of only 8 years and yield a total saving of $18,000,000. UT Arlington has procured long-term utility contracts in partnership with several other universities that helped contain building-related costs. Additionally, the University works with Siemens Building Technologies (Siemens) to perform energy and infrastructure analysis of the campus facilities. that identifies opportunities for “Energy Cost Reduction Measures (ECRMs),” which are facility improvements with the most potential for energy and operations savings while improving overall occupant comfort. Some of these ECRMs include the addition of a new 4,000 ton satellite chilled water plant, transformer upgrades, comprehensive lighting retrofits, occupancy sensors, air handling unit replacement, high efficiency motor upgrades, and HVAC improvements to several buildings on campus (including the Arlington Regional Data Center, NanoFab lab building, Swift Center, Maverick Stadium and the Wetsel building). Demand response programs are becoming an integral component of the evolving smart grid infrastructure. Voluntary incentive programs help reduce excessive strain on the energy grid during times of peak demand, which helps to prevent rolling brownouts. 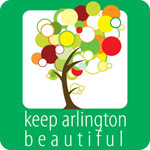 UT Arlington participates in an emergency interruptible load service program, a commercial load management program, and a peak shaving program that provides incentives to program participants that are willing to reduce their usage for 15-minute intervals between 3:30 p.m. and 5:15 p.m. during the June-through-September summer peak demand period. Based on a five-year term, the expected net cash flow for a two-megawatt reduction commitment is $153,000 per year.